Update May 8th: As announced in February, all requests to our API will have to be authenticated starting May 1st, 2015. During the first half of May we’ll be conducting blackout tests and any applications that do not use the new API will show an error 403. If you are using a third-party app and see an error 403 message, please, contact your app developer and let them know. 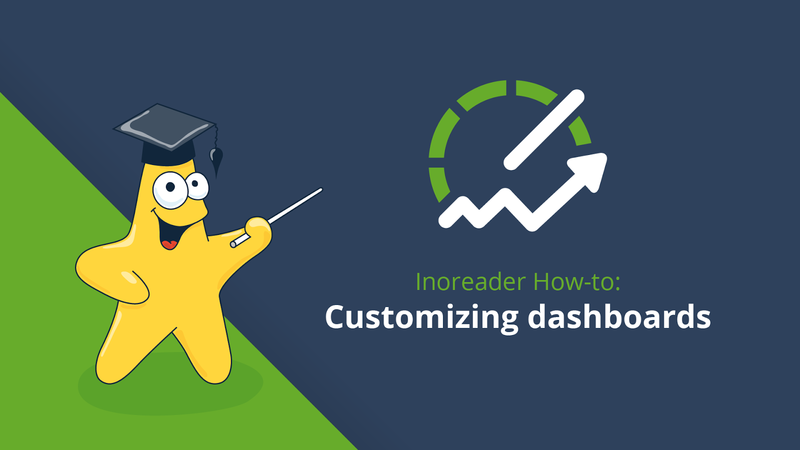 As Inoreader is growing, we want to help application developers grow together with us. 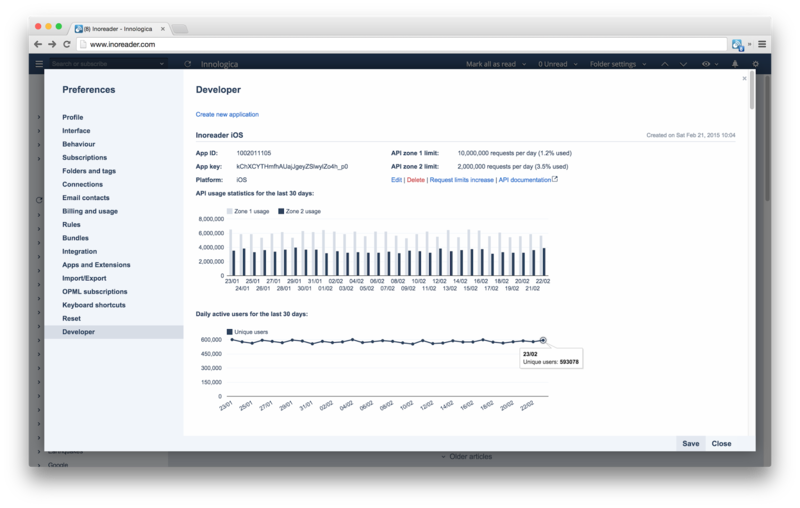 This is why we’re introducing our new developer portal and some changes to the way Inoreader interacts with apps. We are launching our new developer portal where you’ll find better structured documentation about our API. The main information about registering an application and working with the API is listed there – it’ll give you an overview of all major integration questions. If there is anything else you need to know, you can always reach us at developers [at] inoreader.com. We have also added a comments section on every page, so that you can help us improve the documentation. 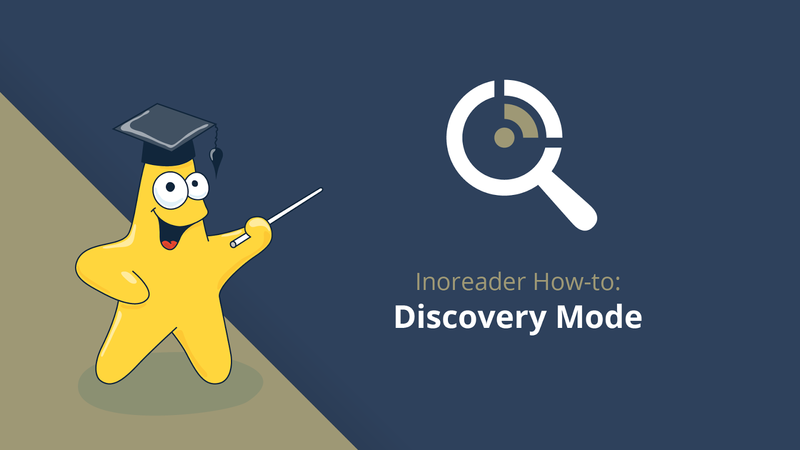 In order to make the developers’ work easier and guarantee the high quality of our service, we’re also introducing a new way of integration with Inoreader. In order to interact with our powerful backend, your apps will have to be registered with us – you can read more about it here. When you start calling the API, you’ll receive access to usage statistics straight from within your Inoreader Preferences panel. Those span 30 days and will give you information about the number of daily active users and their usage rate. You can request an increase in the default usage limits for your app – we’ll do our best to evaluate each request quickly. All new apps will need to be registered with Inoreader in order to use the API. Apps that are already using the Inoreader API will have time until May 1st, 2015 to register and start using the App ID and key for authentication. After that date all requests to our API will have to be authenticated. That gives you plenty of time and if there is anything you need to discuss with us, we’ll be glad to help.